Workshop to let in Trim, Co. Meath. For further details contact Tadhg on 087 2623032. Property no. 5014718. 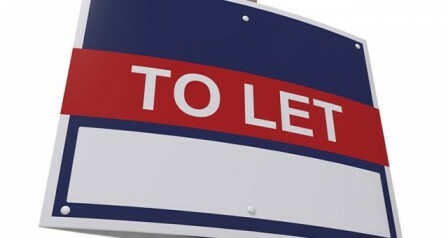 Clubhouse to let in Gorey, Co. Wexford. For further details contact Tadhg on 087 2623032. Quarry to let in Craggs, Shanagolden, Co. Limerick. For further details please contact Tadhg on 87 2623032. Property No. 1272918. Quarry to Let at Knockagonnell, Ballymoe, Co. Galway. For further details please contact Tadhg on 087 2623032. Quarry to Let at Cregboy, Claregalway, Co. Galway. For further details please contact Tadhg on 087 2623032. Quarry to Let at Toberdan, Lecarrow, Co. Roscommon. For further details please contact Tadhg on 087 2623032. Quarry to Let at Toomore, Hillstreet, Co. Roscommon. For further details please contact Tadhg on 087 2623032. Quarry to Let at Rooskagh, Athlone, Co. Roscommon. For further details please contact Tadhg on 087 2623032. Quarry to Let at Bruise, Arvagh, Co. Cavan. For further details please contact Tadhg on 087 2623032. Quarry to Let at Drumgavney, Ballybay, Co. Monaghan. For further details please contact Tadhg on 087 2623032. Quarry to Let at Strokestown, Trim, Co. Meath. For further details please contact Tadhg on 087 2623032. Quarry to Let at Denhamstown, Denhamstown, Co. Meath. For further details please contact Tadhg on 087 2623032. Quarry to Let at Feltrim, Feltrim, Fingal Co. Council. For further details please contact Tadhg on 087 2623032. Quarry to Let at Kilglass, Kilrainey, Co. Kildare. For further details please contact Tadhg on 087 2623032. Quarry to Let at Caherabbey Lower, South Tipperary. For further details please contact Tadhg on 087 2623032. Quarry to Let at Newtown, North Tipperary. For further details please contact Tadhg on 087 2623032. Quarry to Let at Ballyegan, Co. Kerry. For further details please contact Tadhg on 087 2623032. Quarry to Let at Coppingerstown, Co. Cork. For further details please contact Tadhg on 087 2623032. Quarry to Let at Glenacroghery, Co. Cork. For further details please contact Tadhg on 087 2623032. Quarry to Let at Curra, Co. Cork. For further details please contact Tadhg on 087 2623032. Quarry to Let at Coolatooder, Co. Cork. For further details please contact Tadhg on 087 2623032. Quarry to Let at Rafeen, Co. Cork. For further details please contact Tadhg on 087 2623032. Quarry to Let at Garryhesty (Donovans), Co. Cork. For further details please contact Tadhg on 087 2623032. Quarry to Let at Mylane, Co. Cork. For further details please contact Tadhg on 087 2623032. Quarry to Let at Curragbeg, Co. Cork. For further details please contact Tadhg on 087 2623032. Quarry to Let at Ballybeg West, Co. Cork. For further details please contact Tadhg on 087 2623032. Quarry to Let at Ballyellin, Co. Carlow. For further details please contact Tadhg on 087 2623032. Quarry to Let at Hillstreet Toomore, Co. Roscommon. For further details please contact Tadhg on 087 2623032. Pit to Let at Loughanmore. Co. Louth. Quarry to let at Knockagonnell, Co. Galway. Quarry to let at Gregboy, Co. Galway. Quarry to let in Ballybay, Co. Monaghan. Disused public house to let in Kilsaran, Co. Louth. For further details email info@donnellyandassociates.ie.